Description: For Jessie the prom night is a super important event! 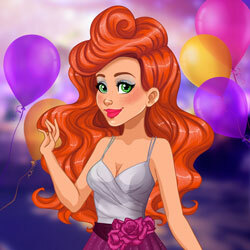 She is counting on you to use your creativity and help her get the ready for the big night. Mix and match to find the perfect make up, pick the most fashionable dress in your favorite colors, style her hair and dye it, and choose the perfect glamorous accessories.